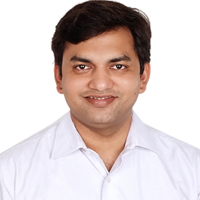 Dr. PRASOON SHUKLA, B.D.S., M.D.S. Dr. Prasoon completed his graduate studies from the prestigious Manipal College of Dental Sciences (the college was recently ranked as the No.1 Dental College in India by Outlook) & then went on for higher studies in Prosthodontics including crown bridge & Implantology. Dr Prasoon also took advanced training in the field of implants in Israel in collaboration with UDM college of Dentistry, Michigan, USA. Dr Prasoon has won many awards in national & international dental conferences for his clinical cases. His original research papers & case reports have been published in journals of international repute. Dr. Mandakini completed her graduation in 2005. She selected her field of interest as pediatric (kids) dentistry & has undergone extensive training for the same as well as for root canal treatment.